Mechanical Engineering is one of the key branches of core engineering. Mechanical Engineering is also referred to as the “Mother” branch of Engineering. The field of mechanical engineering is extremely broad and diverse with wide application base. 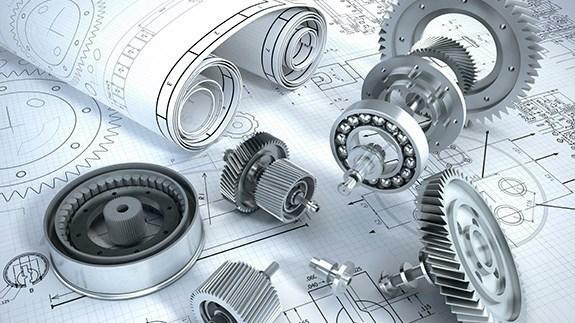 Not only designing, but mechanical engineering has got applications in all stages of product manufacturing. Due to the wide applications of the mechanical engineering field, education and training are of utmost importance. Job opportunities for skilled and experienced mechanical engineering graduates are aplenty and unending. There is great demand for skilled mechanical engineers in both government and private sectors. In this guest post, Abhishek Kumar, a Mechanical Engineering graduate from the Georgia Institute of Technology (Georgia Tech), will guide you through some of the best countries for higher education and jobs in mechanical engineering. Mechanical engineering in India is a field of increasing popularity with hundreds of thousands graduating from the various universities across India. In this field, India does have a lot of opportunities; but there are definitely countries with higher salaries and better job opportunities. China is a country with the most opportunity currently; a lot of manufacturing from around the world is being outsourced to China. They produce more cars than any other country in the world. However, they have a strong preference to hire locals; and their education system is not as strong as most of the Western World. The US is a good market for mechanical engineers; though it is highly competitive. Getting a good job requires a lot of hard work and a degree from a top university. The top markets for mechanical engineers are in the Michigan area; with a lot of automotive engineering jobs concentrated there. The Atlanta area has a lot of HVAC jobs, and the California area has jobs from all industries in mechanical; with a lot of startups being formed there daily. The universities in the US are ranked the best for mechanical engineering; and if you are just looking at the quality of education, you should look at the US. The top universities that I would recommend are University of Ann Arbor, Michigan, Georgia Tech, University of Wisconsin, Stanford and UC Berkeley. There are plenty of Tier 2 universities that also provide good quality of education. I would recommend going to universities close to locations where you want to work. For example, you should study in a university in Michigan if you want to work in the automotive industry. One strong downside to the US is the immigration system, so if you want to settle down in the US permanently; be ready to sacrifice a lot. It currently takes 10+ years for Indians to get a green card in the US; so you are tied to your employer till that happens. The cost of study (without scholarships and financial aid) and health care are high. Canada is a preferred market for mechanical engineers as well. The job market is not as strong as the US, though the immigration system is a lot better. Most of the jobs are in the Ontario area; with a strong automotive presence in Toronto and suburbs. Top Canadian universities for Mechanical Engineering are University of Toronto, McGill, UBC, University of Alberta, University of Waterloo, University of Windsor etc. With Canada’s immigration system, you can get a permanent residency within two years; and there is preference given to skilled immigrants with experience. Healthcare is much cheaper than the US; though the cost of university is similar. Salaries in Canada are lower than the US; with a much higher tax rate. Germany has a good high tech market for mechanical engineering and high quality of education. The cost of education is very affordable compared to the US and Canada. A lot of the universities are tuition free. There are plenty of jobs available, but it is competitive like the US. You will have to work hard during your university and do plenty of internships. You will need to be fluent in German when you apply for jobs. Though most Germans can speak English during regular work hours; the company HR will do the initial screening and they do not like it if you do not speak German. The immigration system is tougher than Canada, but you will get permanent residency pretty fast if you are able to get a job in Germany. The UK has a strong manufacturing sector; with plenty of jobs in mechanical engineering. The immigration system, however, is extremely harsh. If you are not able to get a job before you graduate, you will have to leave the country. Also be aware that there may be changes to the system as they renegotiate terms of Brexit. They may look to open up to the rest of the world, as they close up to Europe. 1. Focus on the fields of Mechanical Engineering that you would like to get into. In general, fields like robotics, mechatronics, nanotechnology, HVAC are growing fast; while fields like manufacturing, FEA, CFD are highly competitive at the entry level. Some of these fields are also a lot better in Germany; while others are better in US/Canada. There is also a global growth in IoT; integration of cell phone technology with mechanical devices. 2. Do not choose Canada if you hate cold weather. 3. If you are looking to permanently immigrate to one of these countries, realize that some countries are much harder than others. 4. The quality/ranking of the university matters more than the location. All countries hire people based on the quality of the university and quality of the candidate. 5. Make sure you put in a lot of hard work; and get some relevant work experience through co-ops, internships etc. This will go a long way towards helping you get a job. 0 responses on "Best Countries for Higher Education and Jobs in Mechanical Engineering"